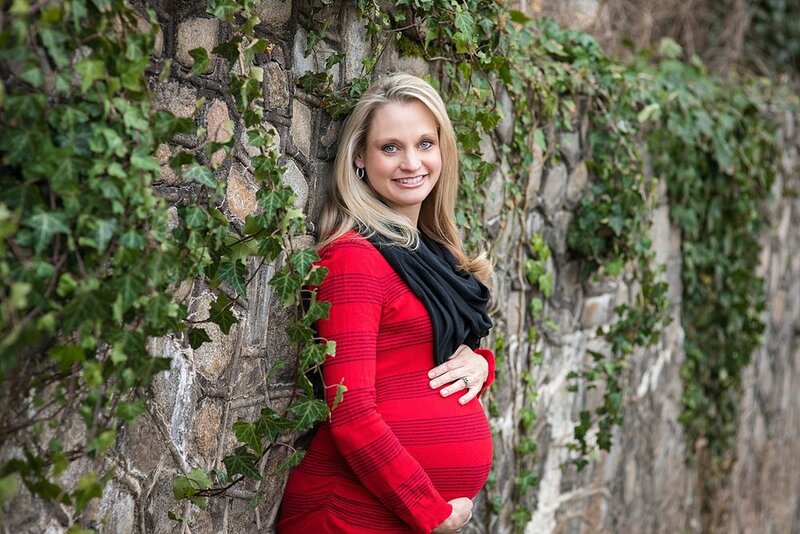 Richmond VA Maternity Portrait Photographer Bringing You An Experience Beyond Beautiful Images! Richmond VA, Midlothian & Chesterfield VA Maternity Portrait Photographer Bringing You An Experience Beyond Beautiful Images! Gowns and Flower crowns included! 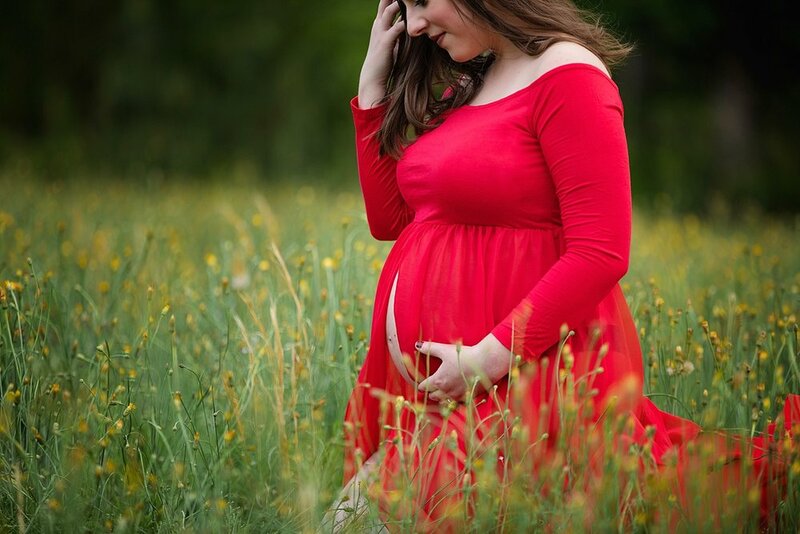 6-8 weeks before your due date is the best time for maternity portraits. Any later and you run the risk of delivering early or experiencing swelling and discomfort during the last month of your pregnancy. It's never too early to book your session. My schedule fills up quickly, especially weekends, so scheduling 3-4 months in advance is best. Is there anything more beautiful then an expecting mama? 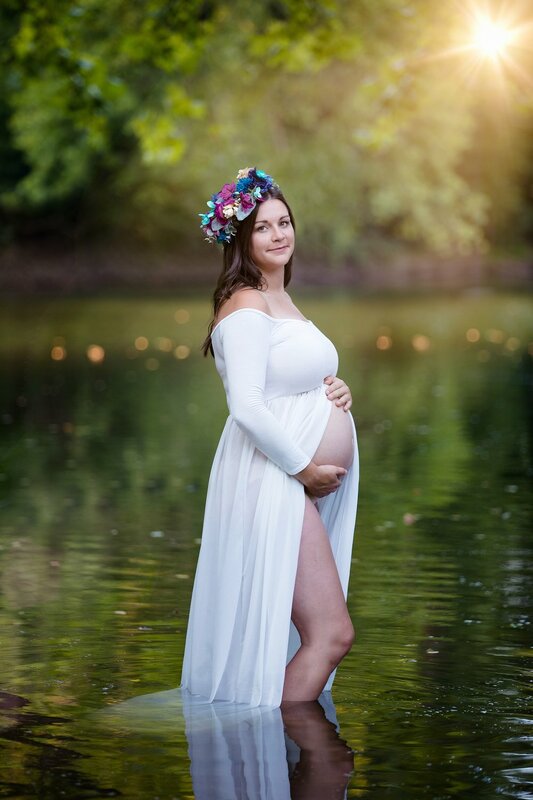 I was blown away at how beautiful Ronni looked in all three maternity gowns. Her physical beauty is nothing compared to her inner beauty though. In the brief time I spent with this couple it was obvious that their hearts are filled with so much love and kindness. They are truly an inspirational couple! One hour before sunset is known as the golden hour. This is when sunlight is absolutely magical! I couldn't have asked for better light or a more beautiful couple for this maternity photography session in the James River! This mama-to-be had no problems walking right mud and all!